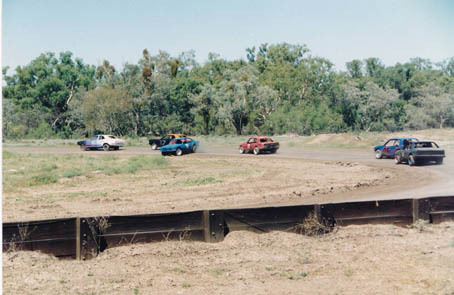 Walgett Speedway was located about 10km out of Walgett on the Brewarrina Rd. 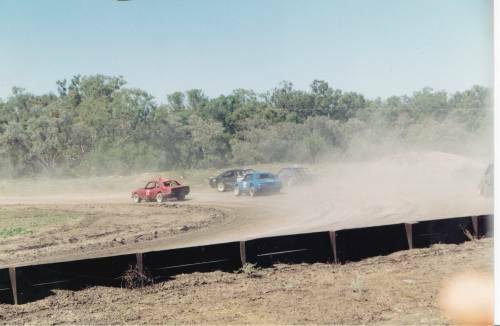 John Campbell Recalls: I only attended Walgett Speedway as a spectator for the Easter meeting of 1994, I believe the track was only raced on a few times a year, The main straight was boarded and the spectators and commentator were located there, The rest of the track was open to the scrub. As a former competitor it was like going back twenty years, It was a great meeting, some sedans were solid towed from neighbouring properties- not many trailers in those days. The meeting was for sedans, Dirt Karts, Motocross bikes and Buggies, my nephew from lightning Ridge rode there, The bikes and Buggies had jumps on the infield, All was good until a lower grade rider attempted the big triple jump and crashed heavily, he was taken to Walgett Hospital by Ambulance and the racing stopped. After about an hour and the Ambulance hadn't returned we returned home to Lightning Ridge.